I adore the Camera! Simply lovely! So great! I love the circular stitches at the center. ahhh i love the camera!!! It's so cute! how much was it listed for? I see it's sold out now. are you planning on making more? Wow, I can't believe the camera badge sold so quickly! 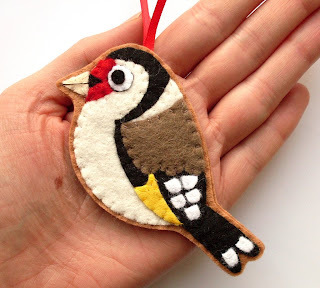 I've made a small batch of them, so there's one back in my shop now :) I really love this design so it will definitely become a regular part of my range! These are great ideas! 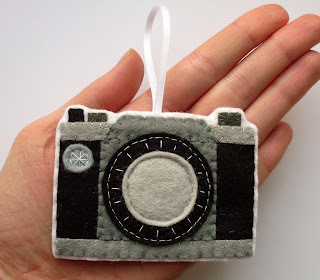 As a photographer, I love the camera ornament. Can't wait to see what you create next! I love the camera so much! 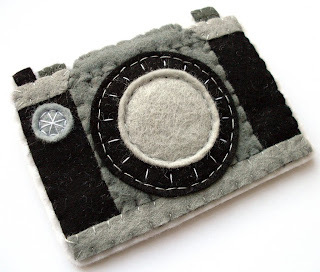 !It would be such a nice present for a photo nerd. It reminds me of when I did a custom order for a t-shirt with an old casette tape made of felt.